- Conduct first flight of Zeta rocket with Impulser motor. After Flight Z-1, a field repair was needed to mount the motor securely. Otherwise setup went well with no glitches. Clear sky confirmed, countdown commenced, and shortly after zero count, rocket rose skyward at a moderate pace, veering slightly into the wind. After burn-out, visual sight was lost. After several seconds, a ‘pop’ heard from ejection charge, followed by a second ‘pop’ a few seconds later. No visual sighting until the ‘pop’ from the main charge fired. 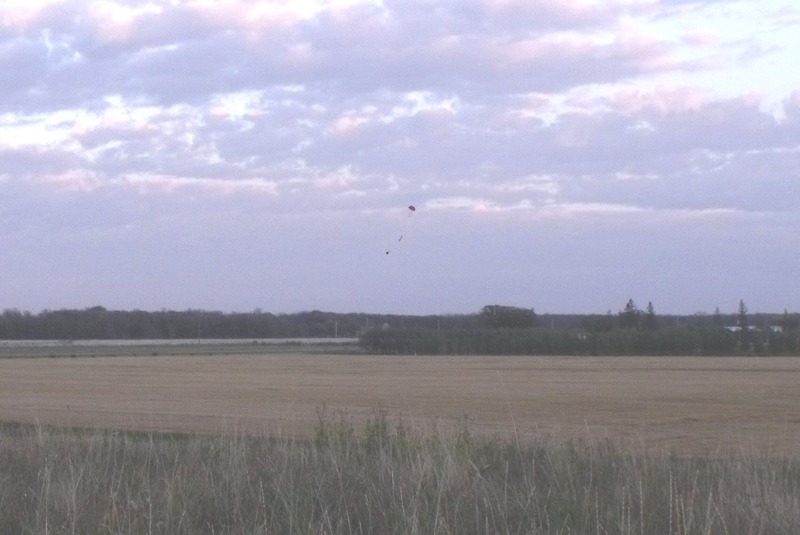 Rocket was sighted descending by parachute at a moderate pace. Touched down about 10 seconds later. Raven beeped out apogee of 2260 feet.